Property prices are currently on the rise in the large UK cities such as London. Experts are certain that this trend will remain for a long time. In London and its suburbs today one can find a large variety of properties for sale, from small studios to large family apartments and houses, which are available for purchases during the construction stage. This kind of investment is a common occurrence on Britain’s property market, as it gives the opportunity for effective and profitable investments with revenues. 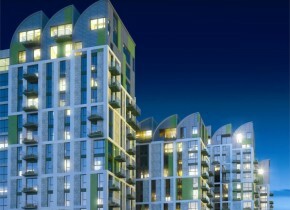 When buying a property in London at construction stage, the buyer normally pays a deposit of 10-30% of the total price. The rest of the price of the property as well stamp duty are paid upon the completion of construction. Usually the developer gives the buyer the opportunity to resell the contract before the completion of the building works, which gives the opportunity of making a profit from the growth of the property prices during the construction of the property . With London property prices rising annually by 7-10%, bearing in mind that by this stage you will have only paid around 10% of the price of the property, you will make a sizeable profit with a minimum investment. When purchasing an apartment in a newly built apartment building the buyer receives a 10 year guarantee of quality from the National Property Building Commission. New modern properties are easy and cheap to maintain, they can be profitably let or resold. Whether you would like to live in the property yourself or to let it, you will benefit from one of the biggest advantages of this kind of purchase: the wide range of locations, designs, views etc. to choose from. Modern construction methods allow designing your property to match your needs, taste and budget. 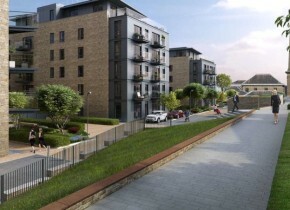 Kidbrooke Village is located in one of London's most popular locations, the Royal Borough of Greenwich and comprises of four distinct neighbourhoods, integrated seamlessly into one community. 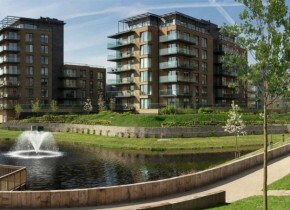 These include: Meridian Gate, Blackheath Quarter, Kidbrooke Village Centre and City Point. A collection of luxury 1 and 2 bedroom private apartments in the very heart of Orpington's town centre providing a centrepiece for the regeneration of the town. 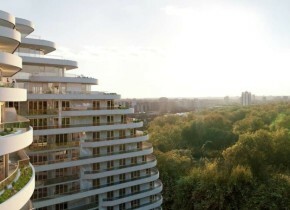 Beaufort Park is North West London's most dynamic destination by St George. This thriving new development has been designed not merely as a place to live, but as a community in which residents can enjoy exclusive facilities and the peaceful atmosphere of beautifully landscaped gardens and courtyards. A BRAND NEW all private development comprising 336 exclusive apartments and penthouses, central to London’s most prolific regeneration master plan – The Royal Docks. 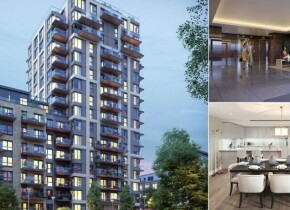 Royal Gateway will comprise five apartment blocks offering a choice selection of studio, one, two and three bedroom apartments and two bedroom duplex penthouses, each designed to Galliard Homes’ premier level specification. The majority of upper level apartments and penthouses will have superb unrestricted views over the Royal Docks and London’s iconic skyline. 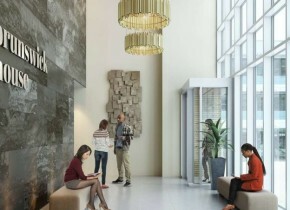 Complete with a proposed concierge, podium landscaped gardens and secure parking, Royal Gateway is expected to provide an exceptional and truly exclusive lifestyle to its residents. Central to the development will be a thriving market style pedestrianized walkway, surrounded by 13 commercial units, creating a vibrant new ‘ cosmopolitan market’ atmosphere for the entire community. These are just some of the examples of the current investments into properties in the construction stage in the UK. We work with all of UK’s leading developers. Get in touch with us and we find the right property investment for you. Of course, buying a property in the construction stage brings with it certain risks. For example, it’s impossible to guarantee that property prices will continue to rise. But such risk is present in any investment. There is also a small possibility that the developer won’t complete the construction works in time. This is why we only use tried and tested developers with an excellent reputation, who have stable funds, and whose projects are in turn insured by Britain’s leading insurance firms. Any buyer, especially an international one, finds it difficult to navigate the property market. It is difficult to keep track of all the risks and to find the most optimal investment. The lack of necessary information, knowledge of the property market, the country’s laws on the matter, the aspects of such deals and often the language barrier require a lot of time and effort to find and research building projects. And even so, the time and effort invested are no guarantee of making the right decision. Are you considering purchasing a property under construction? Our experts will find the right properties for you taking into account your preferences and budget, will take care of all the paperwork and will help negotiate the largest possible discounts when arranging the contract. Moreoever, when buying a property from a developer, all of Prime UK Property’s services are offered free of charge – you only pay the price of the chosen property plus the standard fees for arranging the contract. In addition, we will take care of all the necessary negotiations to achieve the best price for you. We will support you from the beginning until the end of the contract.